Here are some of the most popular Valentine's Day wishes, including love quotes, poems and lyrics. Use these greeting sentences to add charm to your Valentine's Day cards. Send your wishes to your Valentine with sincere and touching words. Here are some greeting examples for Valentine's Day. Use them in your text messages, e-mail or Valentine's Day cards. You give me wings to fly and I feel free and happy with you my Valentine. You have been all over me like a spell and I am drowning into this magical charm. Through it all, you've been there for me ... as an adviser, a morale booster, a companion and most of all, a true and trusted friend. 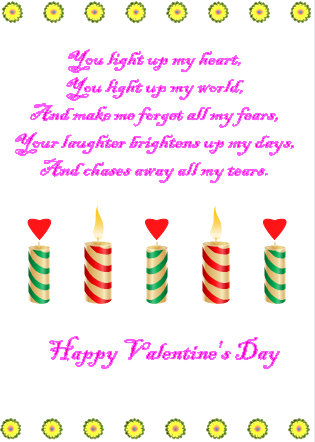 Design a special Valentine's Day Card in on your own to show your deep and heartfelt love. Your Valentine will surely be touched and happy. Edraw helps you DIY creative cards with amazing features. 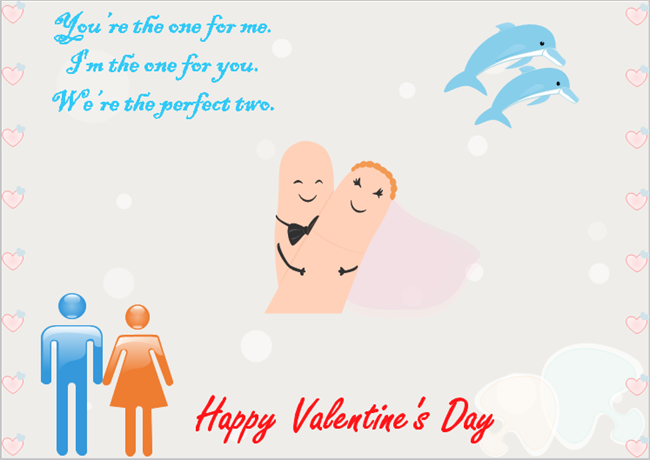 With Edraw you can draw new vector graphics or use existing cliparts to make your Valentine card. There are 10,000+ shapes available, offering limitless possibilities. Supports WordArt that is better than MS programs. Easy to insert local images to your cards. 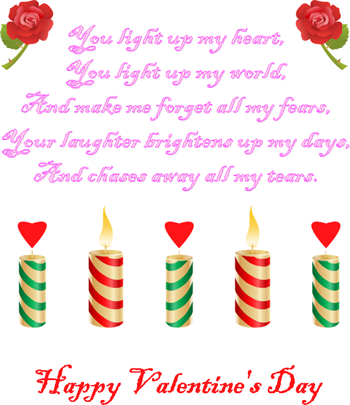 One click to print and export your Valentine card. Here is an example that includes feelings and wishes for the beloved one. You can edit it according to your own needs. For more Valentine Card Examples, click here. Download a free trial and design characteristic Valentine's Day cards in just minutes.